In another post, we covered NFPA 105-2019: Smoke Door and Opening Protectives, the NFPA standard for smoke doors and other opening protectives, such as smoke dampers. 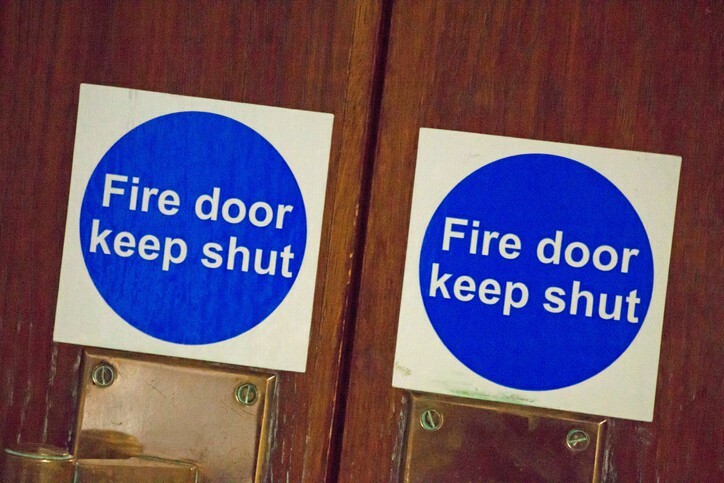 This standard should not be confused with NFPA 80-2019: Standard for Fire Doors and Other Opening Protectives. According to NFPA, “the public fire department responded to 1,319,500 fires in 2017.” Furthermore, NFPA reports that every 63 seconds, a fire occurs in a structure. Because of statistics like these, standards like NFPA 80-2019 are essential. While no safeguards can prevent every fire, being prepared and having the right material is essential when it comes to fire safety. NFPA 80-2019, an American National Standard, looks to help with these kinds of issues. NFPA 80-2019 provides guidelines for the installation and maintenance of assemblies and devices used to protect openings in walls, floors, and ceilings whose main goal is to keep fire and smoke from moving throughout a building. Not including fabric fire safety curtains, this standard covers devices that have been the focus of a standardized fire test. NFPA 80-2019 addresses information on swinging doors with builders hardware, swinging doors with fire door hardware, horizontally sliding doors, special-purpose horizontally sliding accordion doors or folding doors, vertically sliding fire doors, rolling steel doors, fire shutters, service counter fire doors, and host of others. The document can be used as a means to give guidance to authorities having jurisdiction (AHJs), so they can see if assemblies have met and maintained appropriate standards. The origins of some parts of NFPA 80-2019: Standard for Fire Doors and Other Opening Protectives can be traced as far as back as 1897. In 1912, Rules for the Protection Coverings for Openings in Walls and Partitions on the Interior or Buildings was adopted. New definitions in Chapter 3 for inspection mark and field label that help in the application of inspection, testing, and maintenance provisions in Chapter 5. Updated provisions for job site preparation of fire doors for fire pins in Chapter 4. 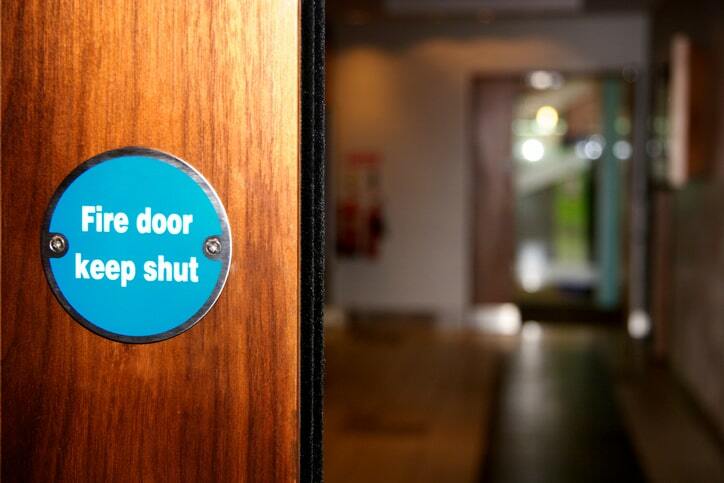 Subsection 4.8.4 was modified with new provisions for measuring clearance under the bottom of fire doors. It now addresses bottom clearance with the presence of latching hardware devices. Chapter 5 was also modified to include fire protective curtain assemblies and a new section on inspection marks. New subsection 19.2.2 gives guidelines surrounding damper manufacturer’s installation and maintenance instructions. The criteria found in Chapter 19 about damper installation have been deleted. Chapter 19 updates the guidelines for the inspection, testing, and maintenance of fire and combination fire/smoke dampers with the addition of new section 19.5.2.3.3 for a remote inspection method. A new 19.5.1.3 simplifies the application of inspection requirements for single inaccessible dampers. Annex A contains modified and amended figures for typical steel door frame installations. NFPA 80-2019: Smoke Door and Opening Protectives is available on the ANSI Webstore.